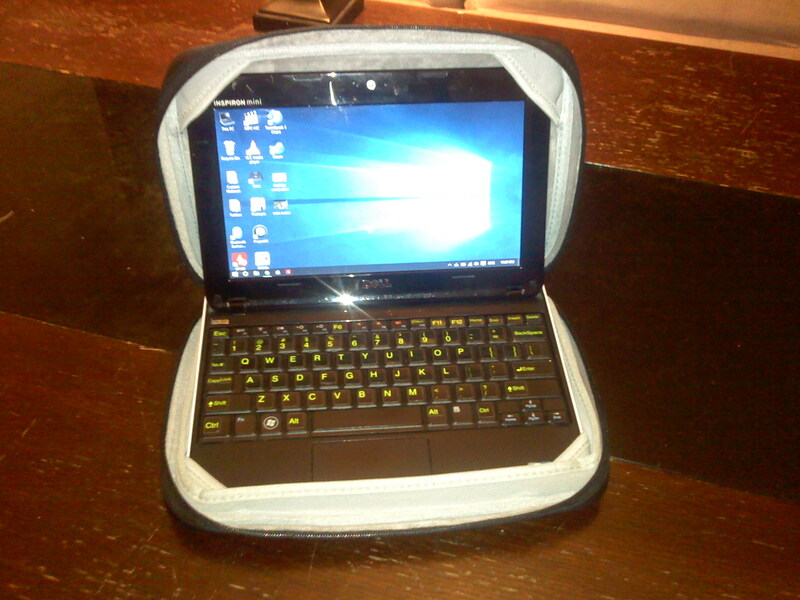 I originally bought my Dell Mini 1012 as a tiny little sub-laptop for College back in 2009/2010. After 2012, the Dell has basically sat in a bag and hasn't seen the light of day until recently. Unfortunately, I also only found this amazing website recently as well. I've done a couple of things to my Mini 1012, some of which I found out in this forum, and other's I haven't. My original 1012 was shipped with 1GB of RAM, and it was the model with only 1 mPCIe slot. 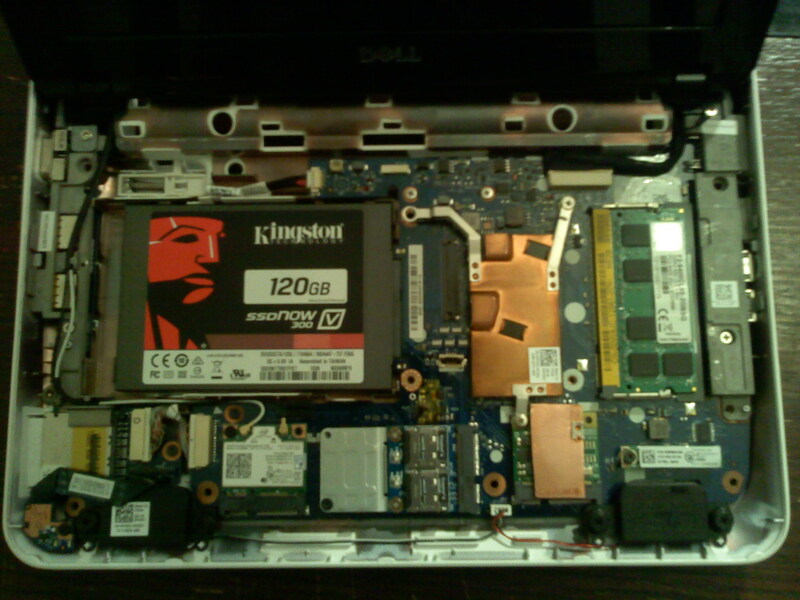 I have replaced the motherboard as well as a bunch of other stuff. I am using CoreAVC + Media Player Classic to watch my movie collection on my DLNA server. I also stream ROMs to a few emulators through the server as well. For YouTube, I am using SVPtube extractor to automatically send YouTube links to Media Player Classic as a pop-up player, rather than using flash. I am also using Chrome User-Agent Switcher, so that I can view the mobile versions of websites, which load and run significantly faster. 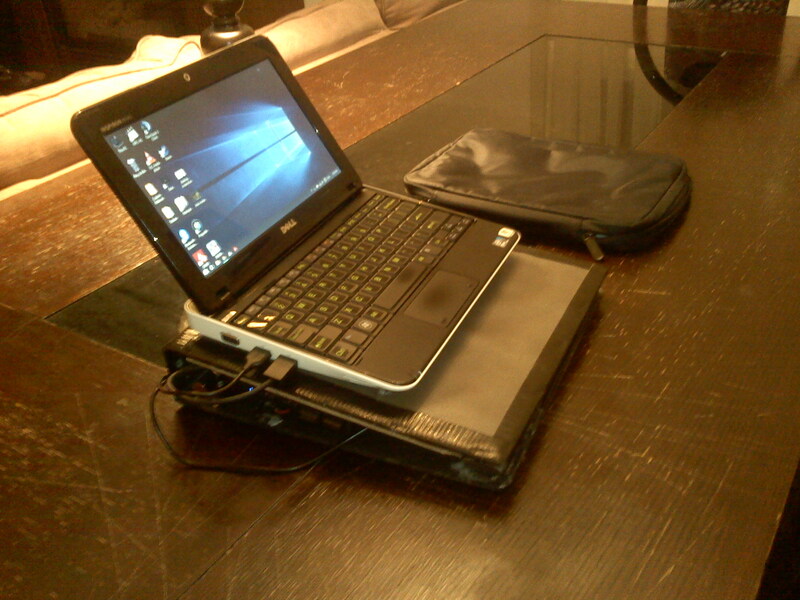 I also have a DIY netbook cooler, made from dollar store materials. 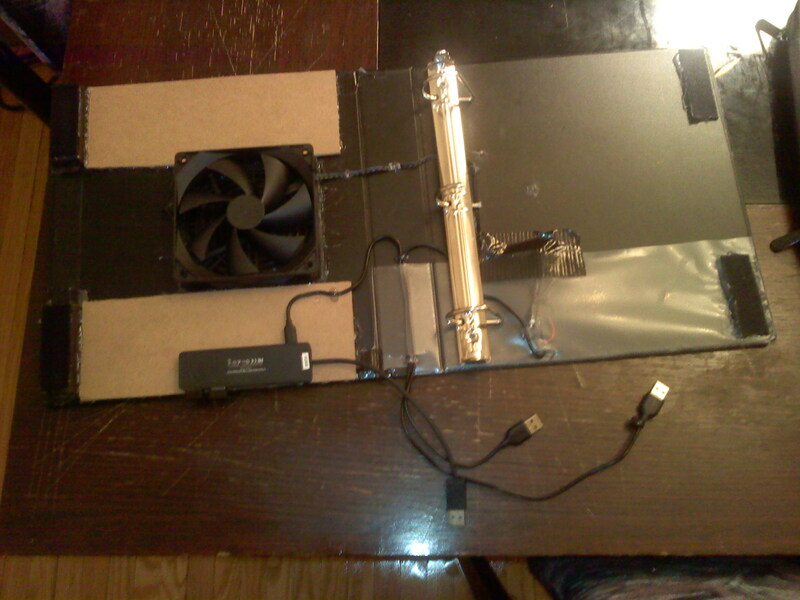 Basically, I got a small black binder, cut a 120mm hole in the middle, added an old 120mm fan that I had laying around. Then I added a powered 4-port USB 3.0 hub that I got for free. All of the USBs are hooked up to the left side of the Mini. 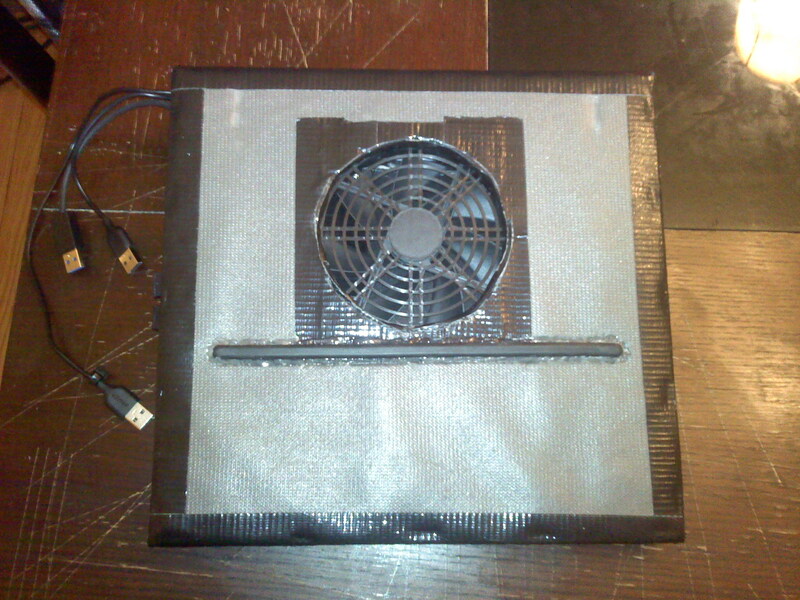 I noticed the binder didn't have enough strength to hold the Mini before it would sag, preventing airflow to the fan. So I bought a clipboard, cut it up, and used the material to add it underneath as structural support. Then I got a paint stick (free) and cut it up into short strips, as well as some adhesive velcro as a spacer for the front to give a bit more room underneath. It is all held together with black duct tape and hot glue. Follow this link for the cute little Dell Mini icon I have for "This PC" (My Computer). One more thing... as you see in Task Manager, I have a disk D:\. I have no idea what that is. It shows up as "Generic Multi-card USB device". My only assumption is that it has to do with the card reader somehow, but isn't an actual drive at all. Last edited by TwistyTravster; 04-07-2016 at 04:10 AM. windows has reserved the cardreader drive slot. in case you connect 25 nas drives and give each of them a letter for the drive. I'm weighing in the pros and cons of turning the 2x32GB into 1x64GB with a software RAID0 configuration, or maybe just using JBOD. I am reading up on the built-in program for Windows 10, called Storage Spaces, but it doesn't seem to be working. Last edited by TwistyTravster; 04-07-2016 at 12:54 PM. This is so cool! Wow. I'm very impressed. I'm using Storage Spaces on Win8.1 on my PC with the mirrored option & ReFS for safer data storage. 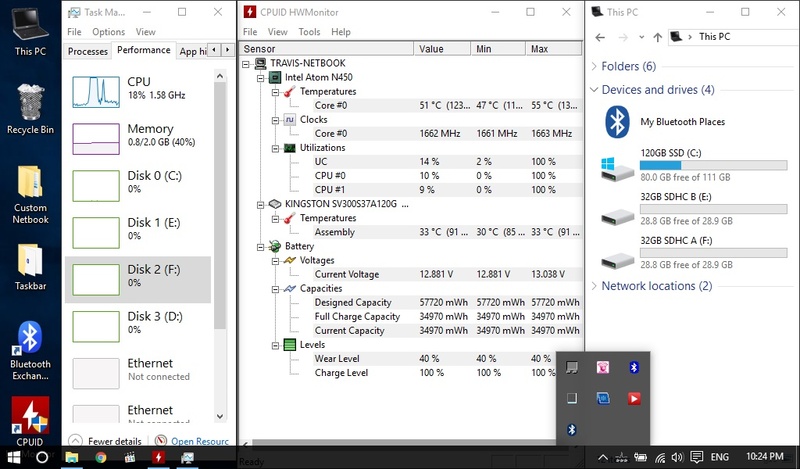 It's of course backed up to an external drive and the cloud from the Storage Space, but I feel safer knowing that the data is on two drives inside the computer, too. Great stuff. It doesn't like them being SD cards or something? do event logs show anything when you try to create it? I've been looking all over the web for a sub 30 USD SSD (32GB) for my Mini 9 but the prices haven't gotten there yet. The original 16 GB one is dying but it still has some time left. Fun stuff and great memories from this community.